On the front page of the Samoa Observer yesterday was an interesting photograph. Spread across the page, it showed protesters holding placards with different messages, who had gathered for two days in Apia and Faleolo. The group, made up mostly of members of the Samoa Solidarity International Group (S.S.I.G. ), had gathered to tell the visiting President of the Asian Development Bank of their fears about customary lands being alienated as a result of A.D.B.-funded projects. One such project the A.D.B had provided technical assistance for aimed to “promote the economic use of customary lands”. Obviously not everyone agrees. Which is why we’ve seen many protests on the streets of this country – and elsewhere - during the past few years. The past two days — where we’ve seen protestors in Apia and Faleolo — is another reminder about this and the picture on the front page yesterday tells a story. “A.D.B. no more loans,” one placard reads. “Get out of Samoa A.D.B.” another screamed out. “Samoan land belongs to Samoan people, not to A.D.B,” another message reads. There were many other messages; some of them were not captured by the photo in question. Whatever they hoped to achieve, their point has been clearly made. And rightly or wrongly, these people are Samoans using their God-given rights guaranteed by the Constitution to express their views, about an issue they obviously deem very important. Underneath the picture though was a story titled “Customary lands alienation claims “fake news,” P.M. says. 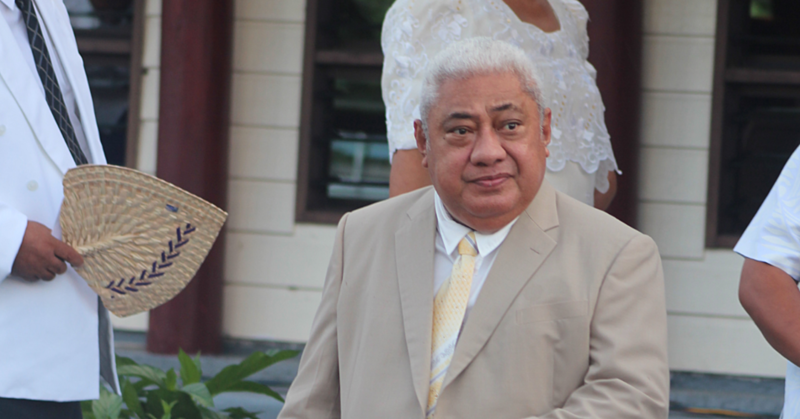 As you’d probably guessed already, Prime Minister Tuilaepa wasn’t impressed. 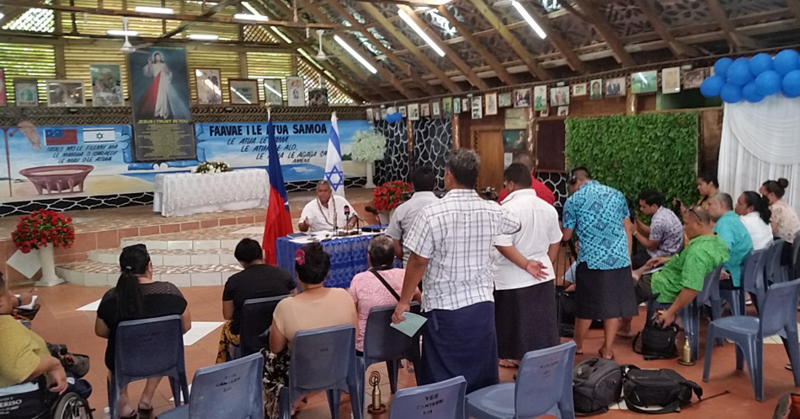 “We have explained time and time again that ever since we passed our Constitution, and particularly article 102, no customary land has ever been sold,” Tuilaepa said during a joint press conference with the President of A.D.B., Takehiko Nakao. “And the Attorney General, with 50 lawyers supporting him, is the only legal office that is recognised in the Constitution to advise the Government. Fake news? And who are the one or two lawyers? Why can’t Tuilaepa just tell us? We have an idea but the Prime Minister should stop sending out these half-baked claims and just tell us what he’s thinking. Interestingly, while Prime Minister Tuilaepa dismissed the concerns as fake news, A.D.B. President Nakao deemed the issue important enough, he justified it with a decent response. Whatever side of this debate you stand on, the mere acknowledgement by the President of A.D.B. of this issue means something. Whatever it is, it is definitely not fake news. Keep in mind that this issue over the past few years has galvanized Samoans from all over the world and all walks of life, because they know it is not fake news. This is a serious matter, and if anything, this is what the news should be about. It is only fake news in the eyes of people who want to keep it buried. And let’s not forget the former Head of State, His Highness Tui Atua Tupua Tamasese Efi, who stepped out of his comfort zone last year to acknowledge that these customary lands concerns are anything but fake news. (b) The taking of any customary land or any interest therein for public purposes”. Said Tui Atua: “In layman’s terms the Article says that it is illegal to alienate customary lands unless an Act of Parliament allows for 1. a lease or licence to be granted over customary land, or 2. customary land is to be taken for public purposes. He added that the debate about Samoan customary land and land laws “is the most dangerous issue facing us since our fight for the return of our Independence”. “The land law issue we are embroiled in now has the potential to strip us of our soul. There is a divisiveness here that we must avoid at all costs. Well we couldn’t agree more. Lessons from other countries in the region who have had similar experiences show that the issue here is much bigger than the former Head of State, S.S.I.G. let alone Prime Minister Tuilaepa and his Government. At the end of the day, customary land is about our identity, inheritance and our God-given rights. If our people are concerned, they have every right to. Write and share your thoughts with us, God bless!